A panel of state finance ministers Tuesday decided to scrutinise the GST collection on services by the states to find out if they are taxing them correctly, Bihar deputy chief minister Sushil Modi said. The panel has been formed by the GST Council to look into revenue shortfall being faced by the states post implementation of the Goods and Services Tax (GST). The seven-member Group of Ministers headed by Modi also decided to look into the issues concerning input tax credit (ITC) with a view to finding out if they were contributing to revenue shortfall. "It has been decided that a committee of officers will study the collection of tax on services by the states. It is apprehended that states may not be collecting the due GST on services as unlike the Centre they do not have expertise in taxing services," Modi said. He further said that the GoM has decided not to rope in any third party experts to study the reasons for revenue shortfall. The GoM, which was set up on January 1, would meet again in February. As per the terms of reference set by the GST Council, the GoM was given the option to rope in experts from National Institute of Public Finance (NIPFP) and National Council for Applied Economic Research (NCAER) to assist them in analysis of states' revenues. 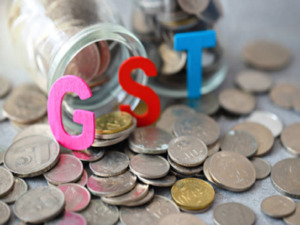 Out of 31 states, only Andhra Pradesh and five north eastern states -- Mizoram, Andhra Pradesh, Manipur, Sikkim and Nagaland -- have recorded revenue increase post the GST roll out. Among the union territories, Puducherry is facing maximum shortfall of 43 per cent. The Committee of officers, Modi said, would try to find out why big states are facing revenue shortfall while their smaller counterparts are doing well in terms of GST collections. GST was rolled out on July 1, 2017. As per the GST law, the centre compensates states to ensure that their revenue is protected at the level of 14 per cent over the base year tax collection in 2015-16. The GoM was mandated to undertake data analysis using econometric and statistical tools and suggest "suitable measures/policy intervention" for course correction for revenue augmentation, particularly for the states suffering high revenue shortfall. Among other things, it would also take into account trends of revenue collection before and after GST implementation. The other members of the GoM include Punjab Finance Minister Manpreet Singh Badal, Kerala Finance Minister Thomas Isaac, Karnataka Rural Development Minister Krishna Byre Gowda, Odisha Finance Minister Shashi Bhushan Behera, Haryana Taxation Minister Capt Abhimanyu and Goa Panchayat Minister Mauvin Godinho.